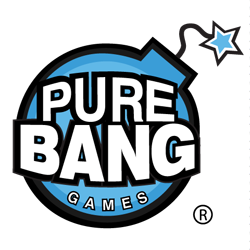 Pure Bang Games is an indie video game studio that makes awesome mobile, web, and PC games. We make games to engage and entertain players wherever they are. Pure Bang Games is a rapidly growing, video game startup in Baltimore, MD. We are looking for a passionate artist to join the team as a 2D Art Intern. The 2D Art Intern will create whimsical, fantasy themed illustrations that drive the visual identity of a great mobile/social game. The ideal candidate has a strong understanding of form, function, and 3D perspective. They must be prepared to design characters, environments, weapons, mechanical concepts, and UI (this may also include UI support such as icons, wrapper screens, etc). This includes sketching, line art, vector art, and full painting design formats. The 2D Art Intern will learn the skills to take an idea from concept to game ready art asset.